Dr. Justin Zackey (Ph.D. UCLA, M.S. Wisconsin-Madison) is the Associate Director for the UCLA International Institute’s Global Classroom Program and has periodically lectured for Geography since 2006. 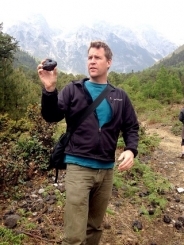 His teaching, research and work interests include China, political ecology, physical geography and international education.